It was due to be a friend of our’s birthday and my husband told me she had never had a birthday cake, so I just had to make it a good one and one that I’d never made before so on the web I went on a search for ideas. 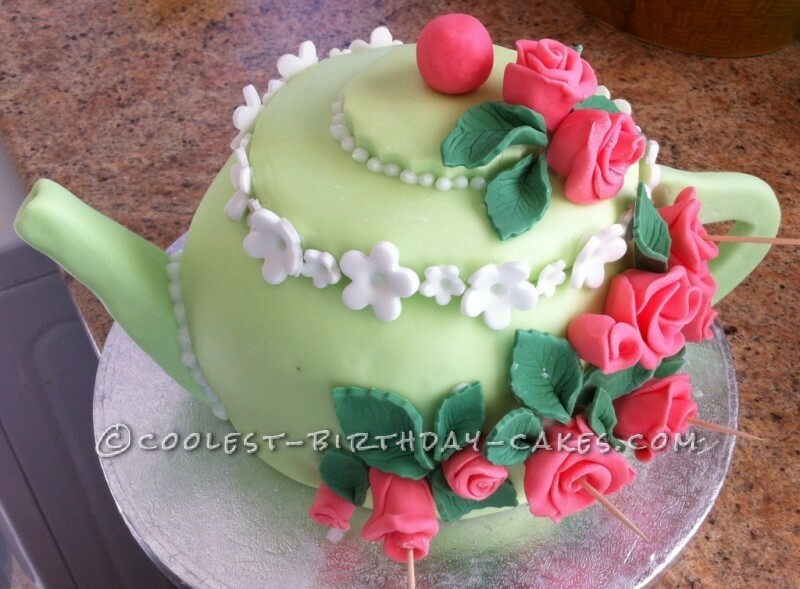 I found some great ideas of teapots and this is what I decided to make. 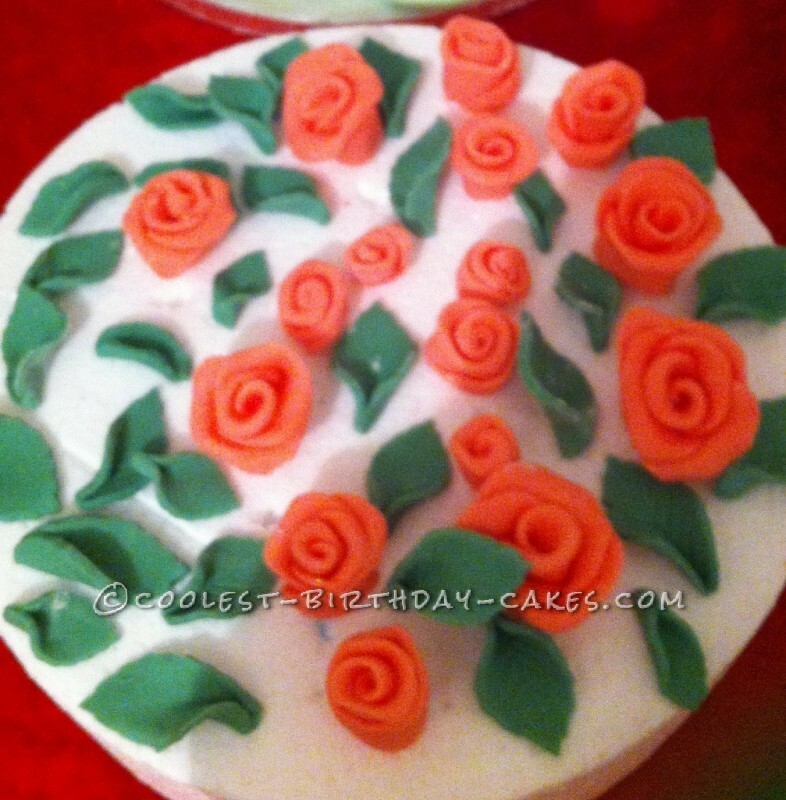 I started by making some fondant roses and leaves and I made a tag and a butterfly out of flower paste because these needed to be hard so they didn’t crack. I also made some small white flowers to decorate around the teapot lid later. I baked a three layer sponge cake and when chilled I filled with jam and butter cream then I cut out the shape for the teapot body. 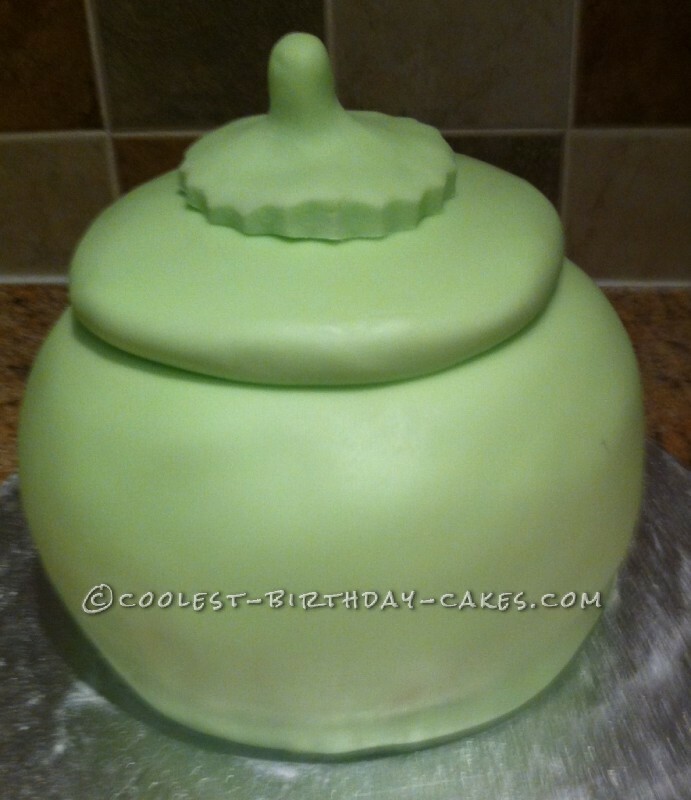 I then covered the whole cake in butter cream and chilled before covering in green roll out icing. I now made the spout and handle out of flower paste and left to dry hard. I had to leave these till now so I could get the size right. 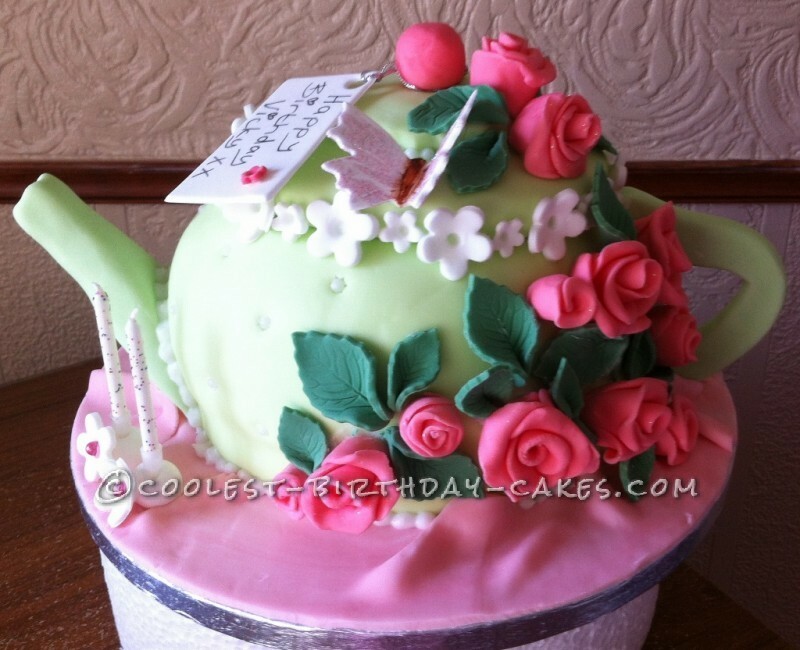 I now made the lid for the teapot out of the left over icing in green and made a deep pink ball for the top, and then attached the small white flowers around the teapot lid. 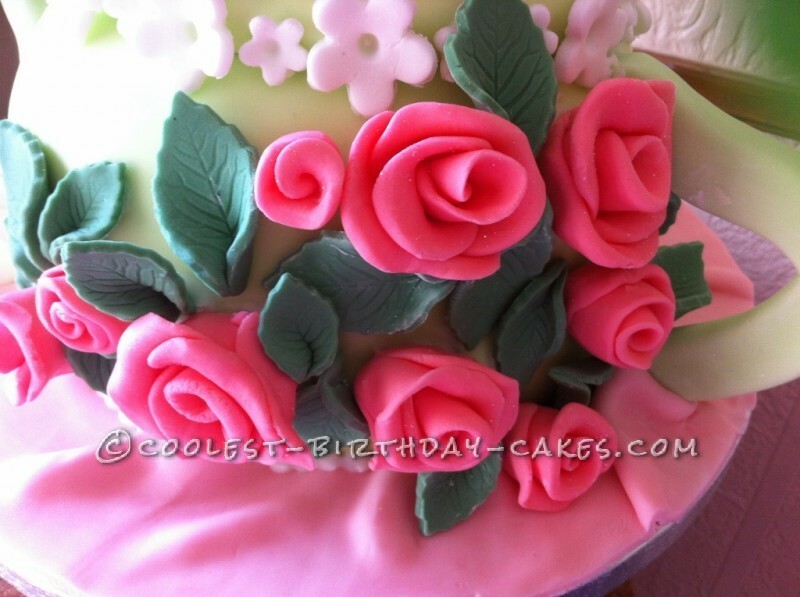 Then I attached the spout and handle with royal icing and then covered the cake board in pink icing and pipe iced a bead around the base of the cake and then attached the roses and leaves to the teapot. I then made two balls to place two candles in and attached a white flower to each ball and placed an edible bead into each flower. 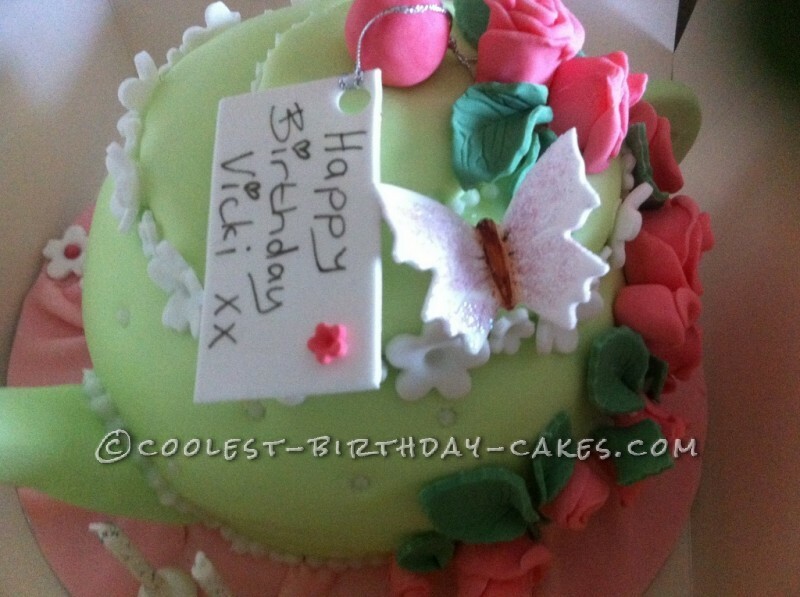 Finally I attached the butterfly and the tag with a message on to the top of the cake.